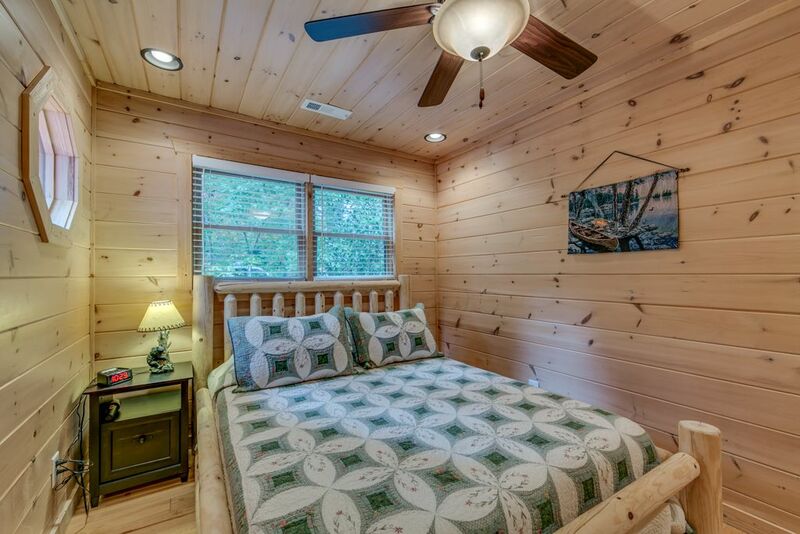 As the crow flies, your cabin is about .5 miles from the Ocoee River and 6 miles from the Ocoee Whitewater Center. 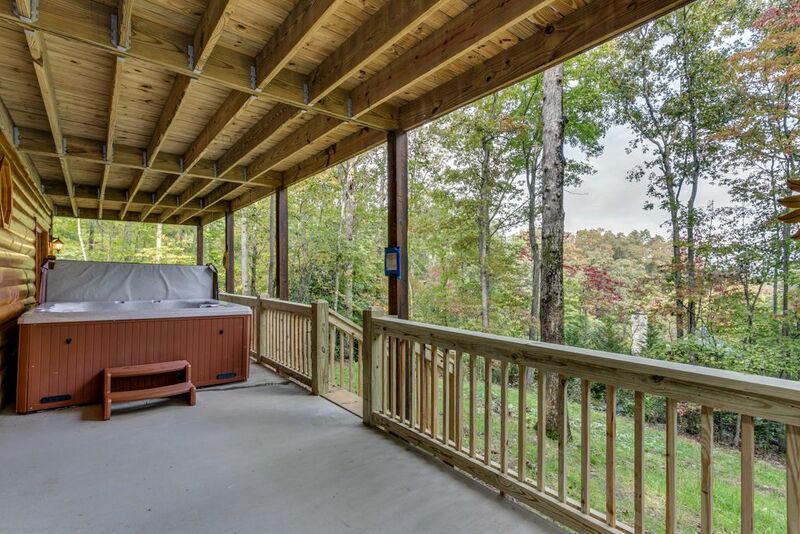 And the best part about the wonderful location of this vacation cabin, is the mountain top setting of the Hideaway Falls community and the scenic views. 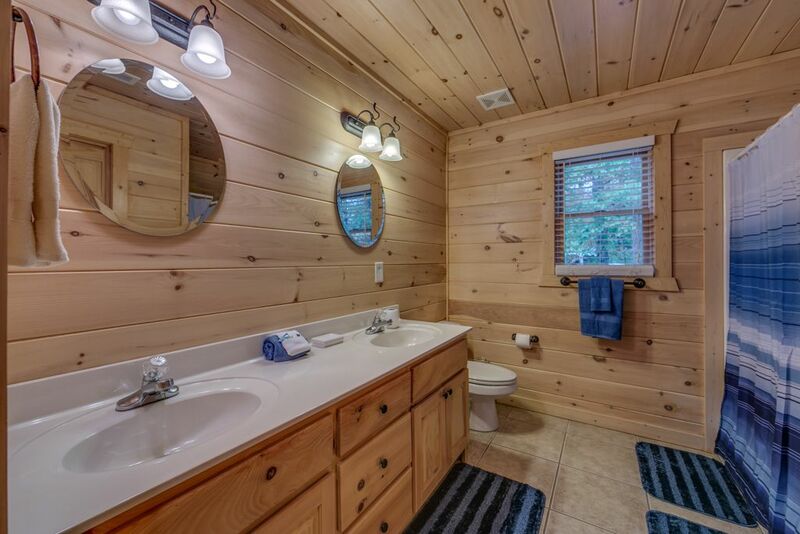 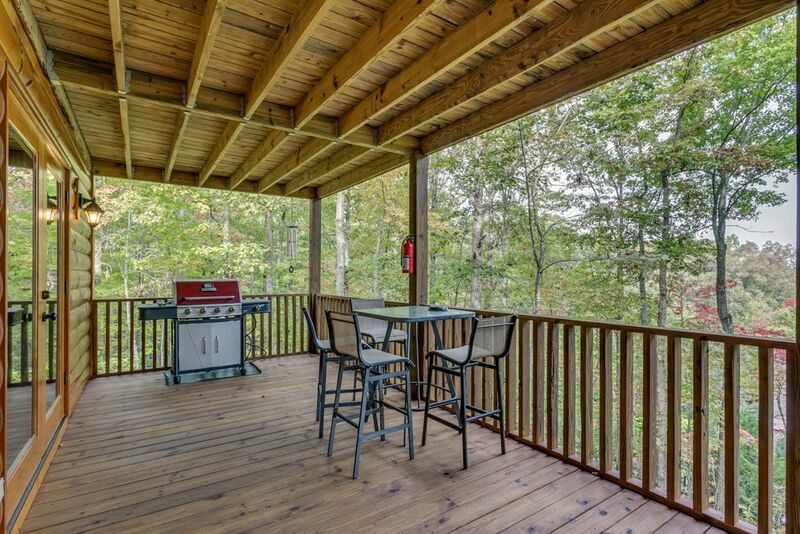 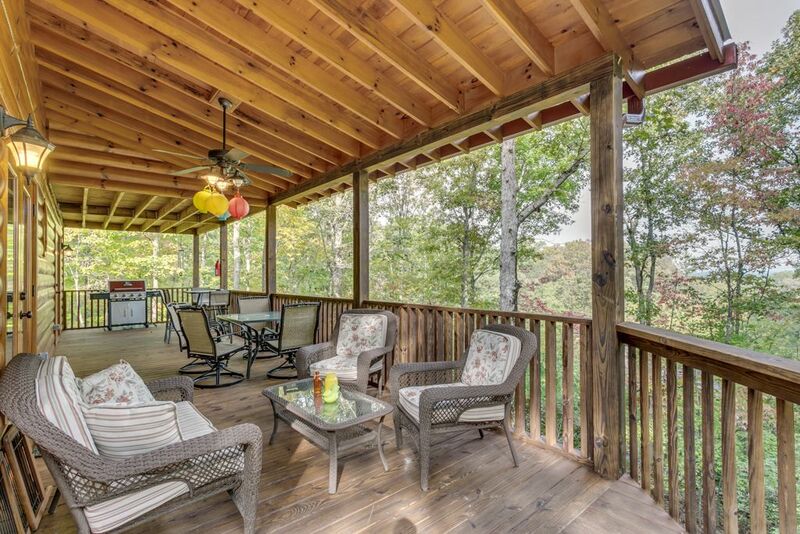 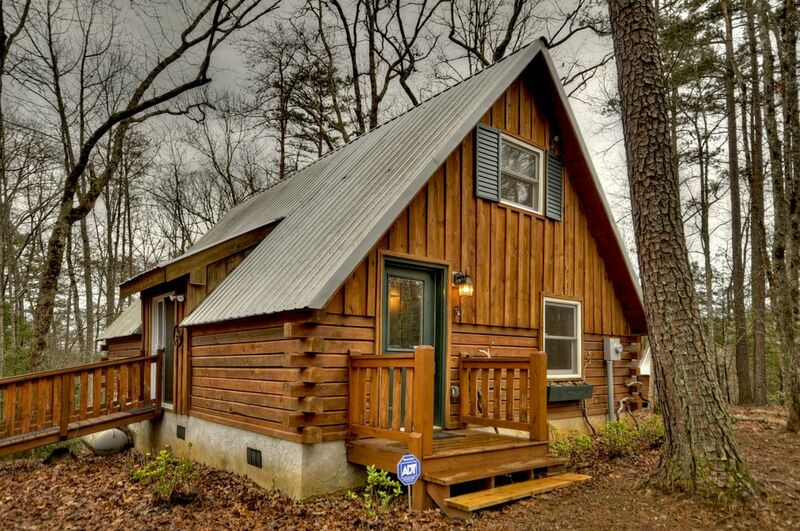 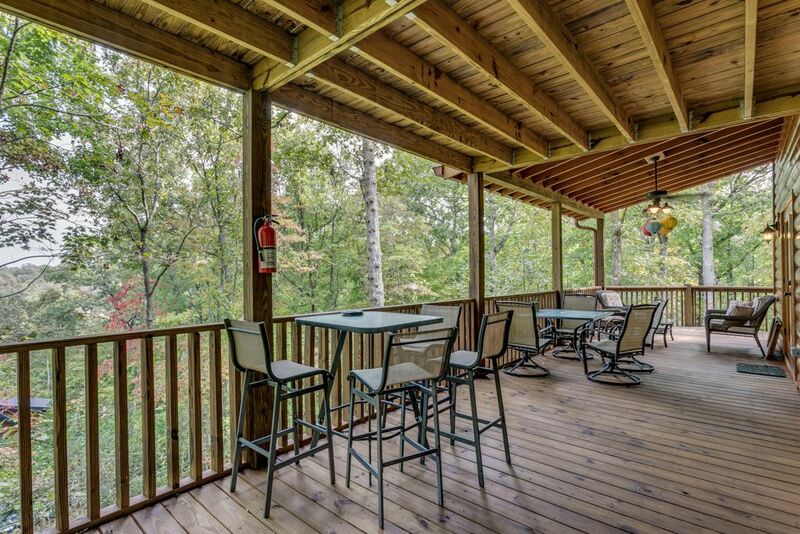 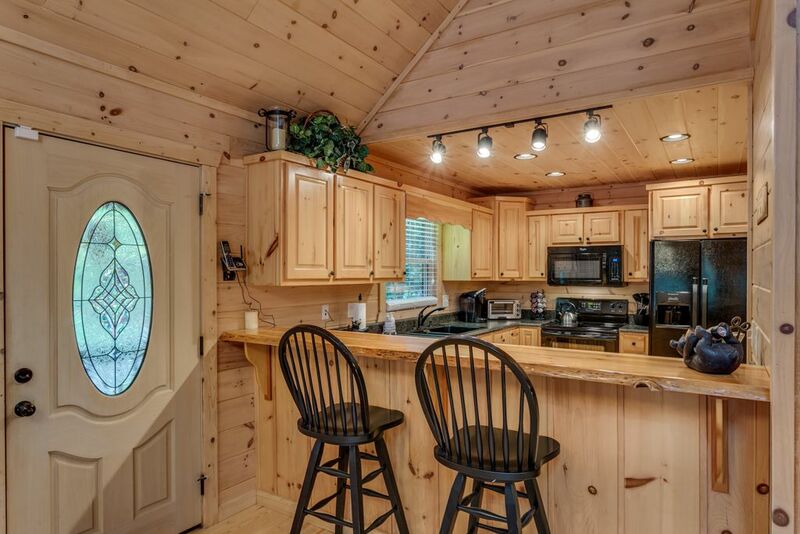 Your family and friends will enjoy all the amenities in this Ocoee River vacation cabin. 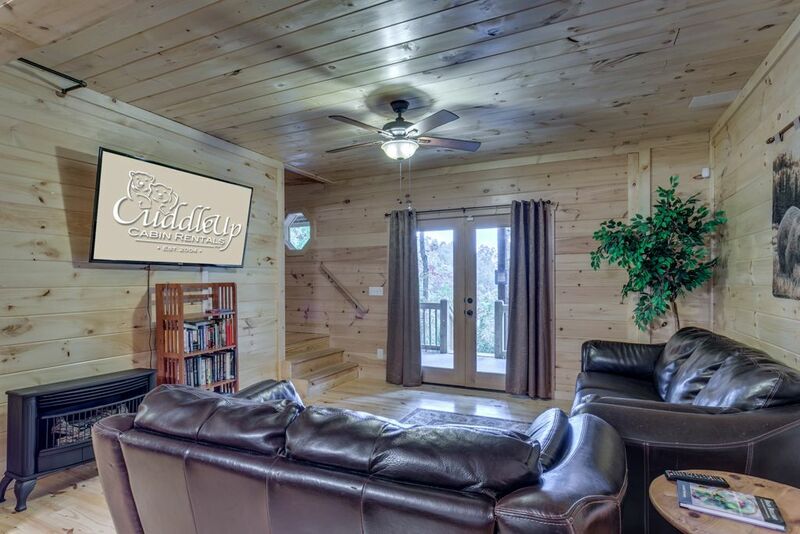 Country Dreams has an open floor plan with plenty of large windows to welcome in the natural light and warm fall colors. 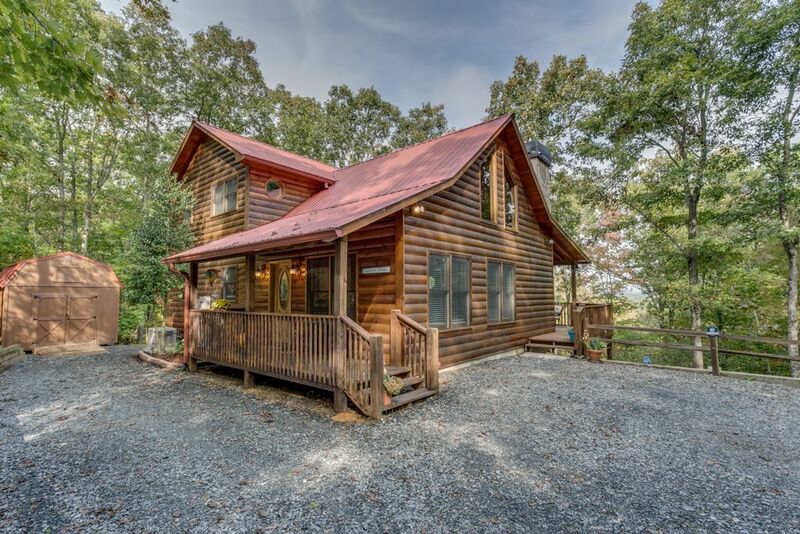 The cabin has plenty space on its covered deck and porch space, with comfortable seating for enjoying meals with family in front of wide-open mountain vistas. 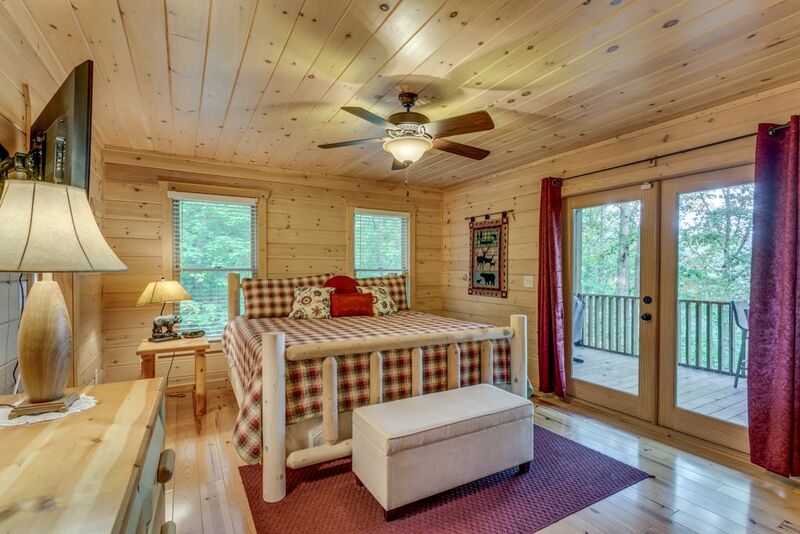 And, your master suite has it's own private deck. 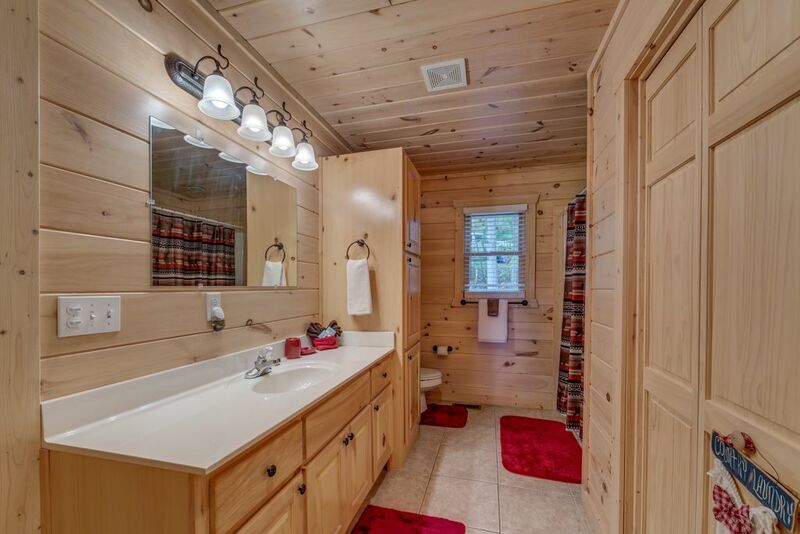 Fully equipped and decorated with casual country decor, guests will find everything they need as they lounge in the cabin. 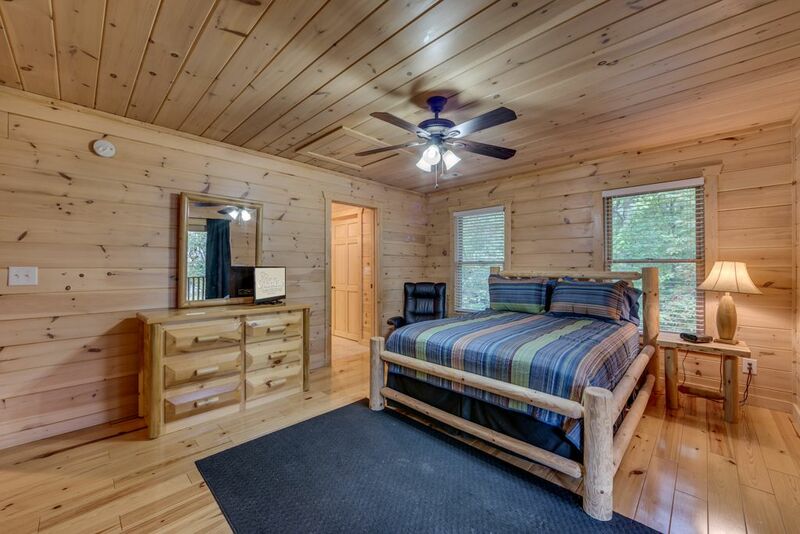 Impressive log beds and casual bedding, with a touch of cabin decor, create and atmosphere that blends the best familiar comforts of home with the character and natural charm of cabin inspired furnishings. 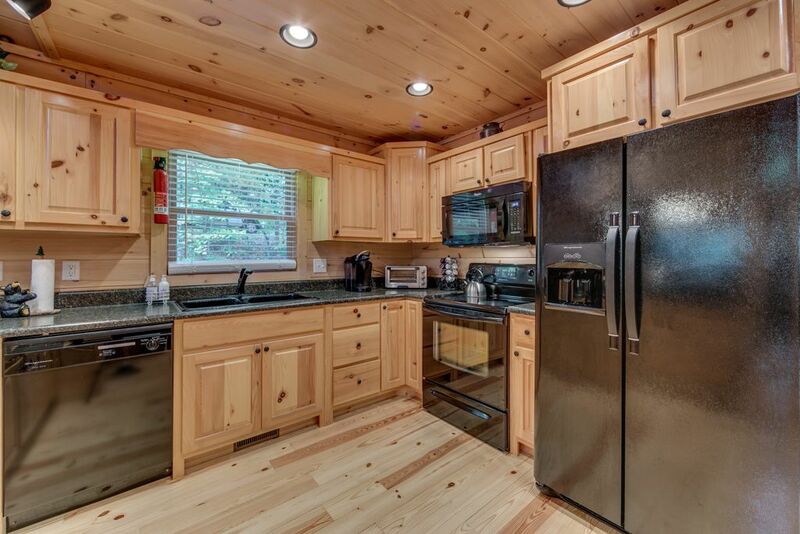 Whether you have plans to cook a family meal in the stocked kitchen or knock out a little work by utilizing the Wi-Fi access we hope you will find Country Dreams meets and exceeds your expectations. 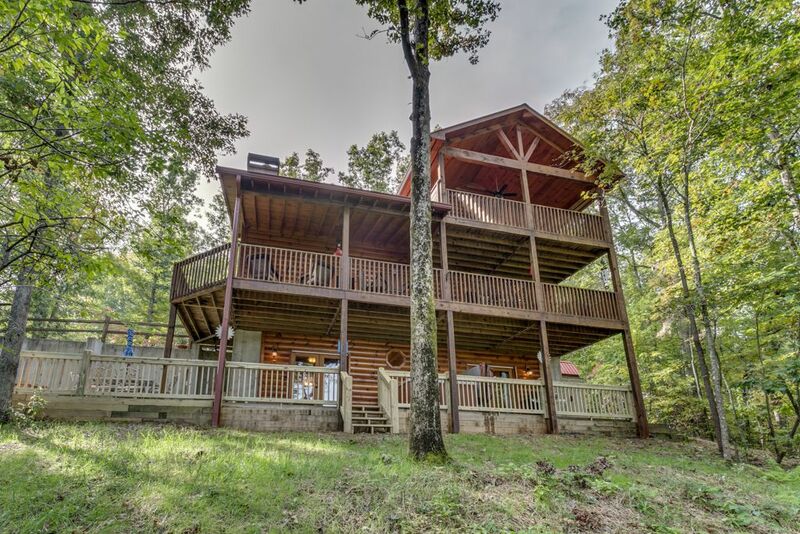 The beautiful mountain view is visible from three of the cabin's four bedrooms, and three of the four bedrooms offer guests a flat screen TV! 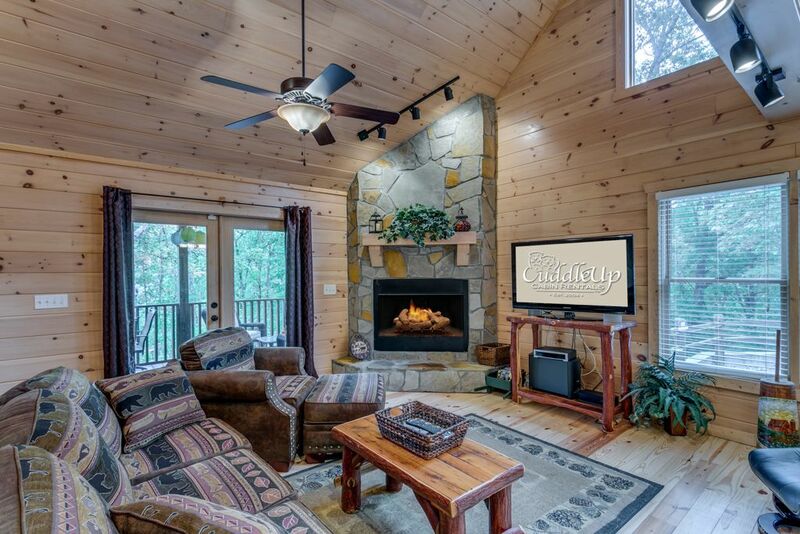 You can cozy up by the gas log fireplace on a chilly fall night or indulge in a movie night snacking on popcorn while watching your favorite DVD. 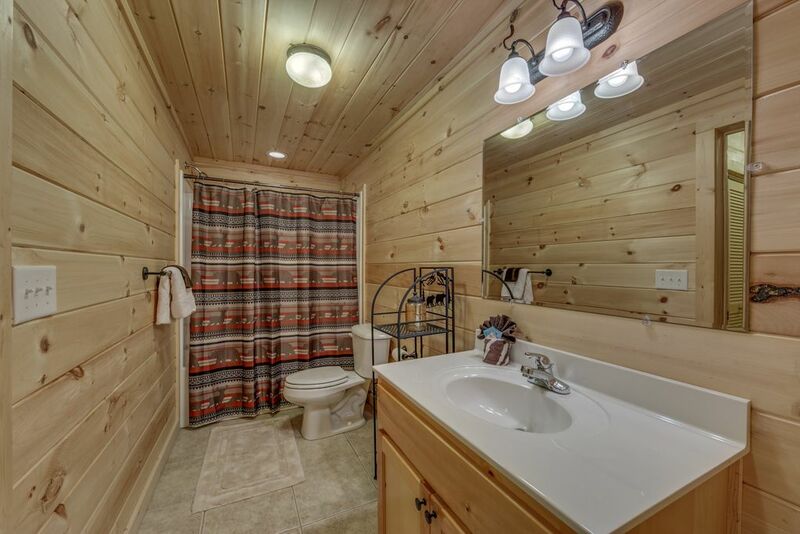 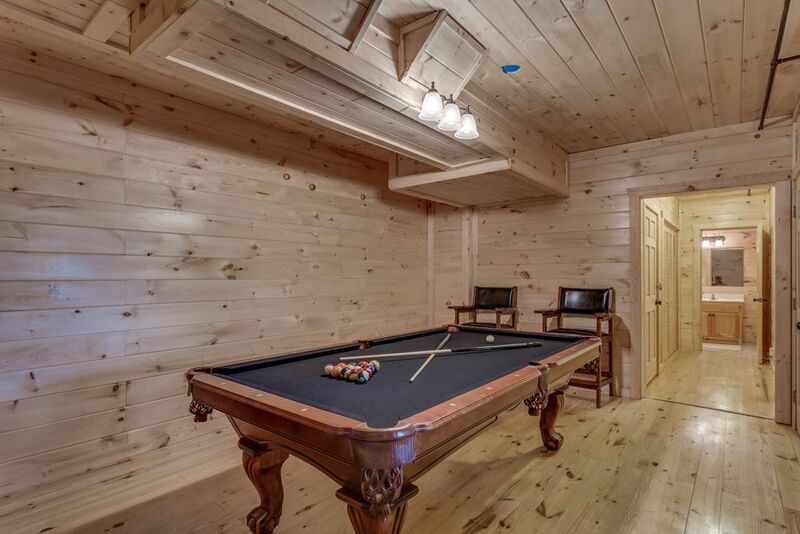 The cabins recently finished basement offers guests a seating area with 62in flat screen, pool table and walk out access to the cabins hot tub and patio area containing a fire pit. 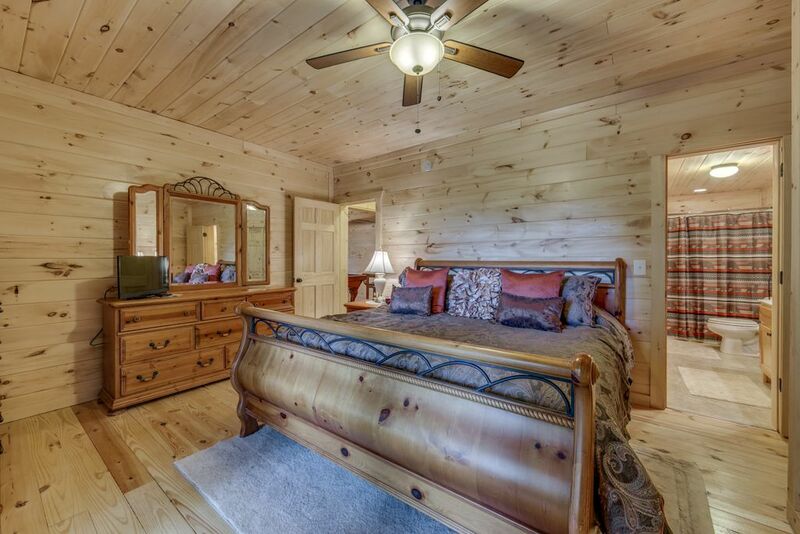 Country Dreams is easily accessible and minutes from outdoor recreation like rafting, tubing and horseback riding. 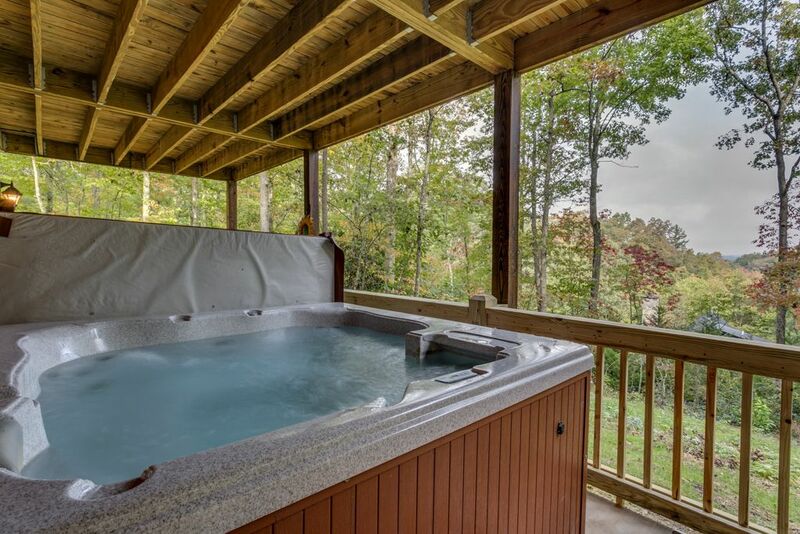 If you want to enjoy some small-town America, head to Copperhill, McCaysville or even Blue Ridge for excellent dining, small shops and a brewery or two. 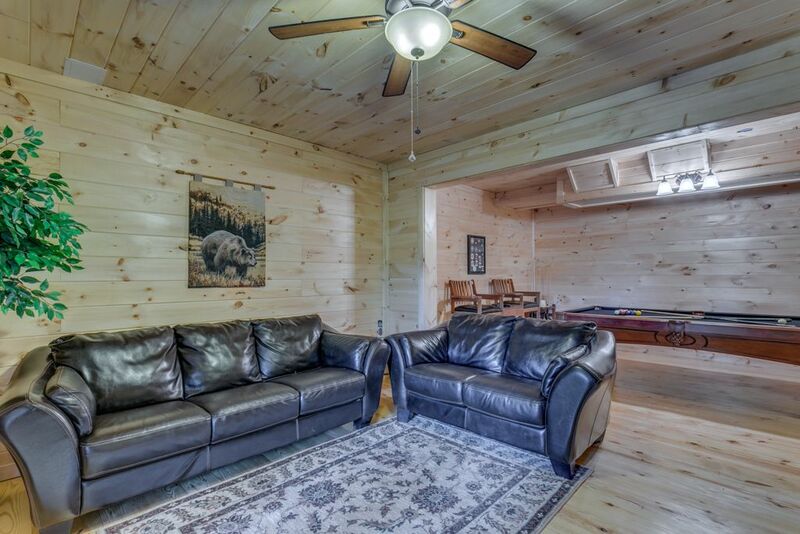 “great place and had everything you needed plus more. 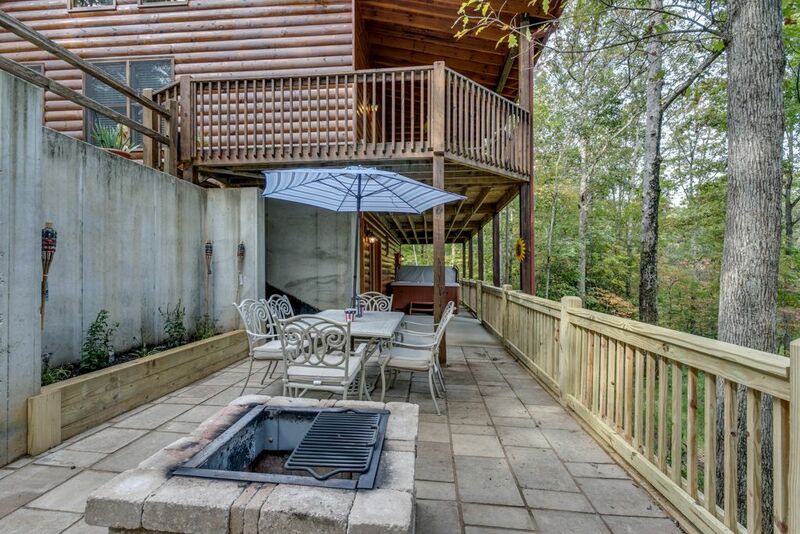 easy to get in and out and check in/out was great. 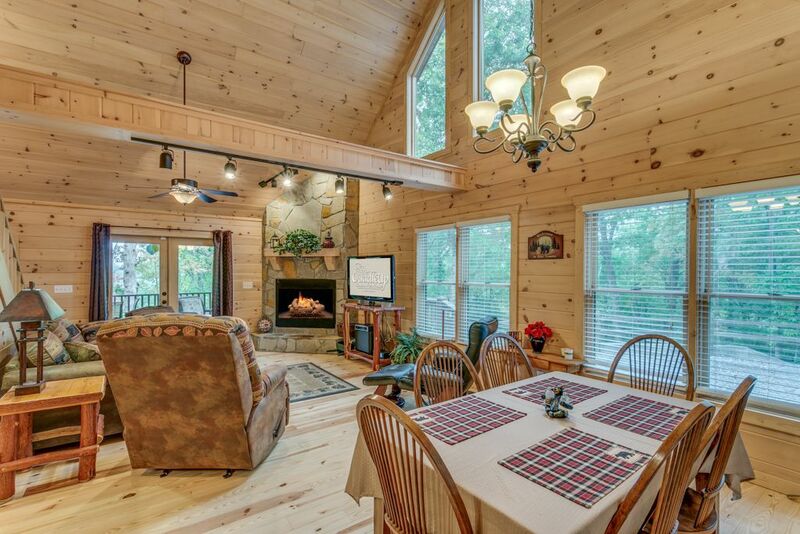 no problems at all"
The cabin was great for our 3 couples. 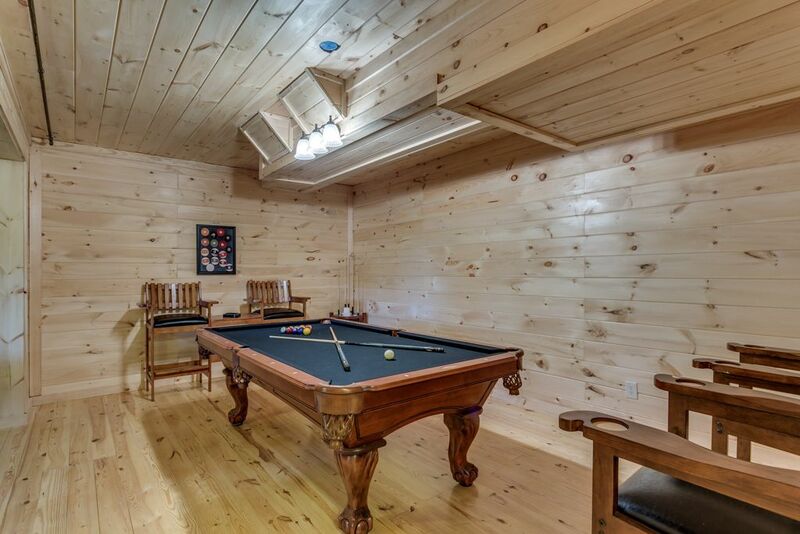 Loved playing pool on the pool table, hot tub was great, and overall the cabin was awesome.